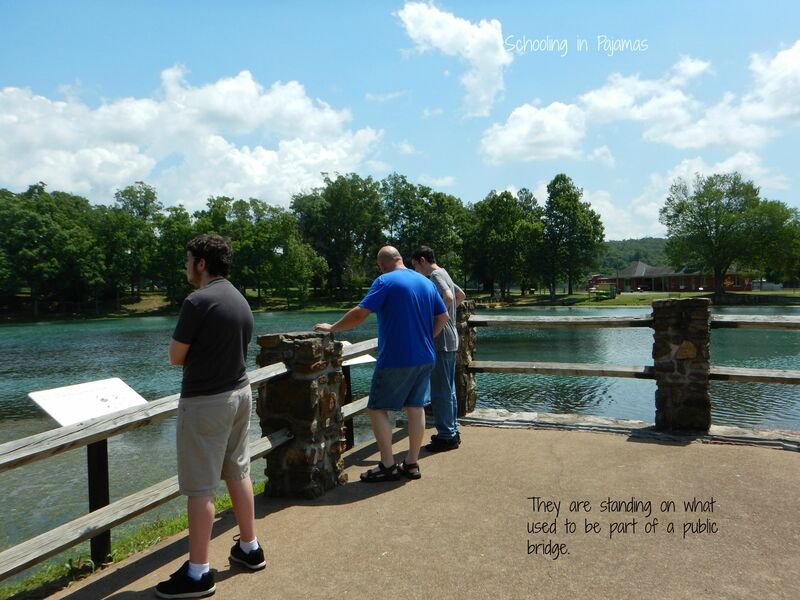 During our June trip to visit family, we stopped in Mammoth Spring State Park in Mammoth Spring, Arkansas. 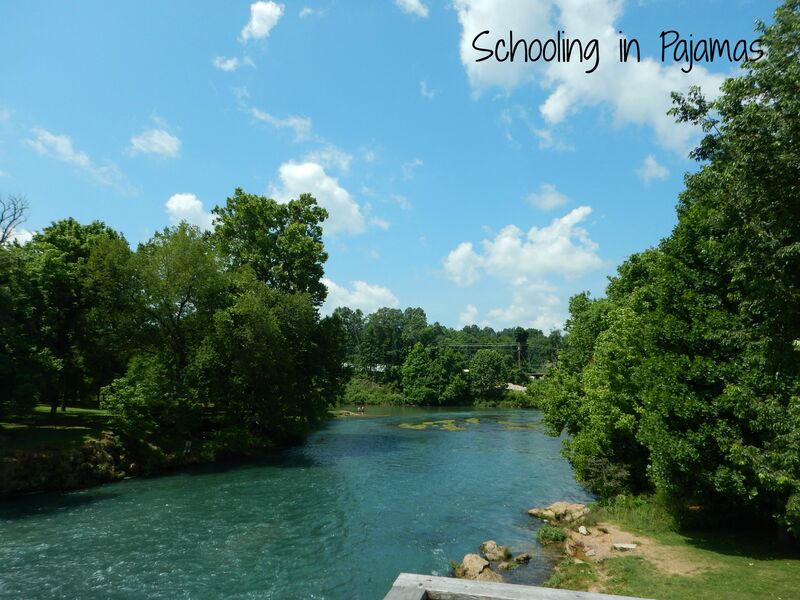 My husband growing up used to go camping and rafting with his family in the areas between here and Eureka Springs, Arkansas. So it was such a delight to drive these areas with our kids during the trip. Lots of childhood reminiscing for the hubby. I myself had not been here and the drive up through this area was filled with some fascinating things. So before getting to Mammoth Spring, I’ll share a few “ahhhh” moment photos. 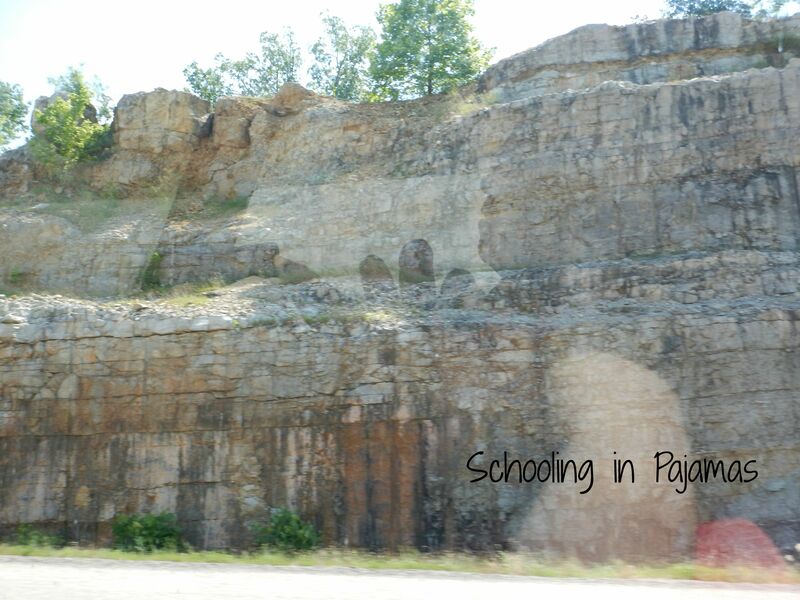 This section of the highway has breathtaking views of the rocks. The roads are cut through them which brings the vivid layers of the rocks up close for inspection. Our 8-year-old just could not get enough of them. I have to admit, I was just as fascinated and took more pictures than was probably necessary. I caught the curve of the road as we were getting ready to pass through two of the rock cutouts. 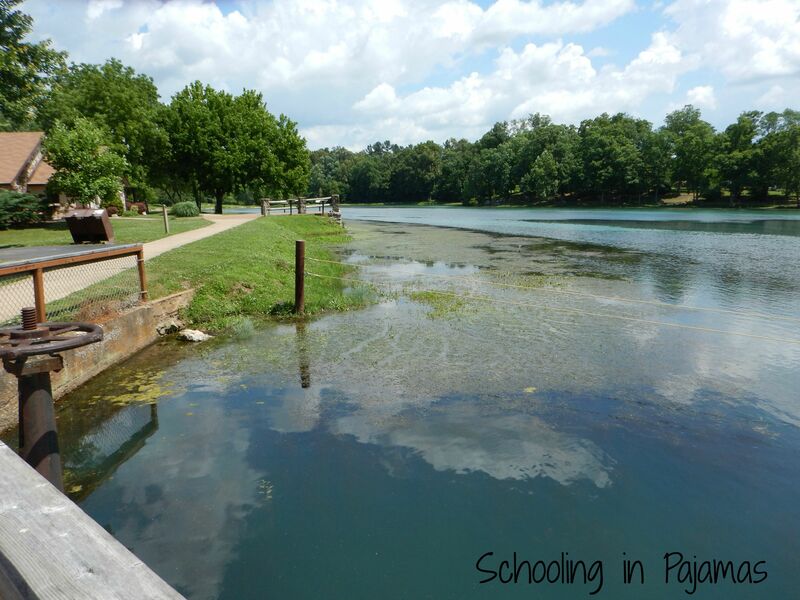 Here is a bit of background on Mammoth Springs and the state park. 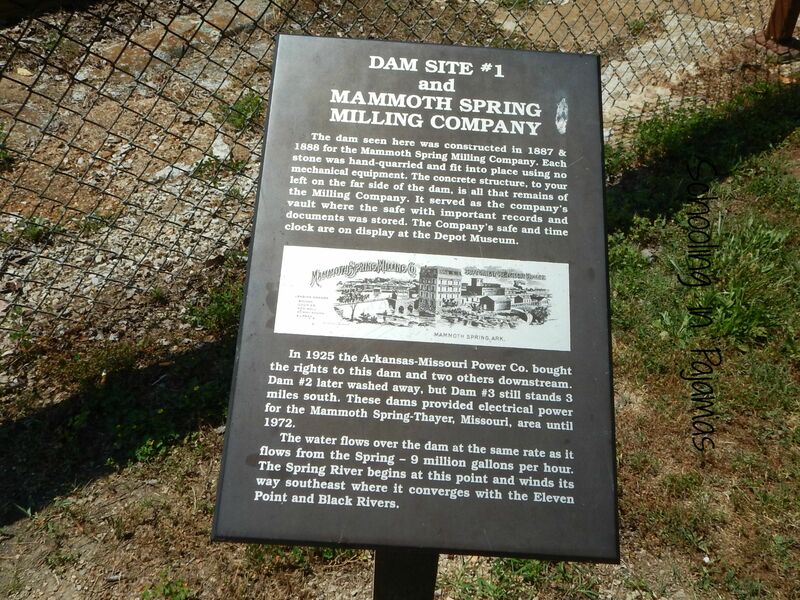 Mammoth Spring, Arkansas is located at the head of the Spring River on the Arkansas/Missouri border. 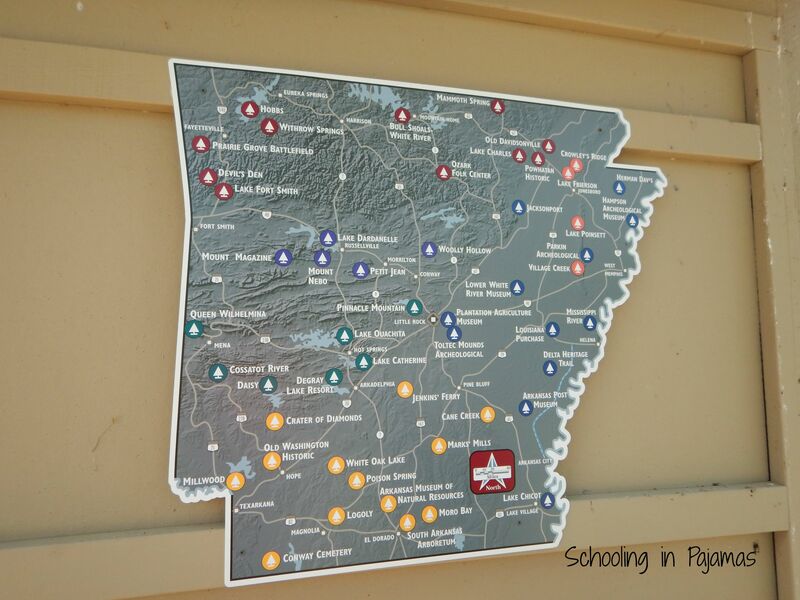 The town started as a railroad stop. 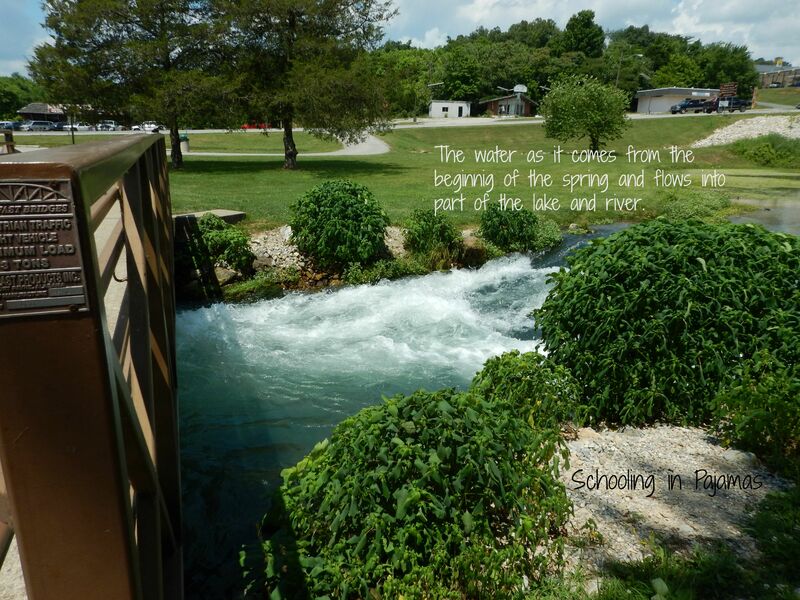 Mammoth Spring State Park is home to the largest spring in Arkansas and the second largest spring in the Ozark Mountains. Mammoth Spring is a National Natural Landmark. 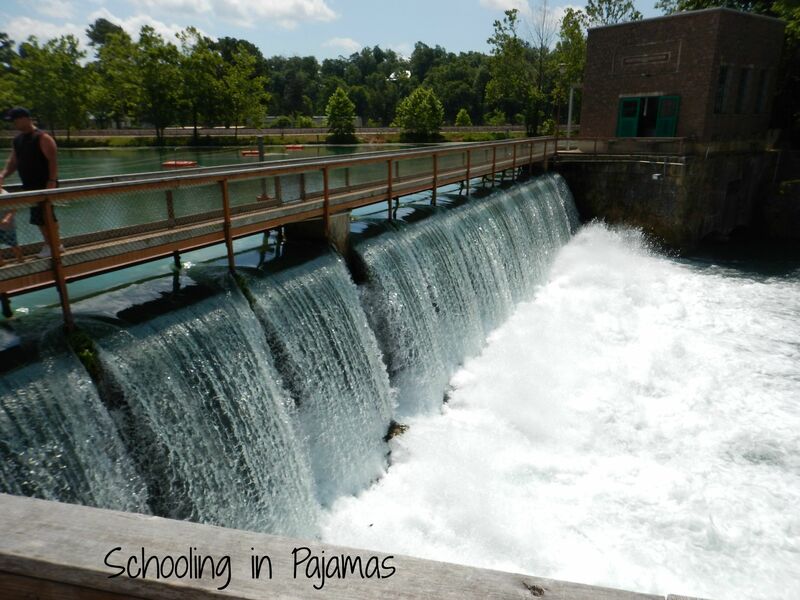 The spring forms a 10-acre lake that flows into south as the Spring River. 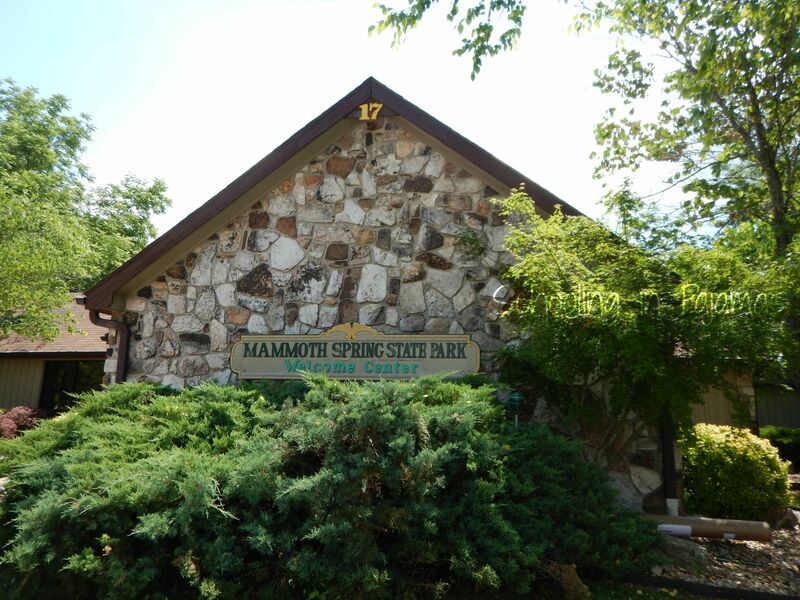 The park is located off US 63 in Mammoth Spring. 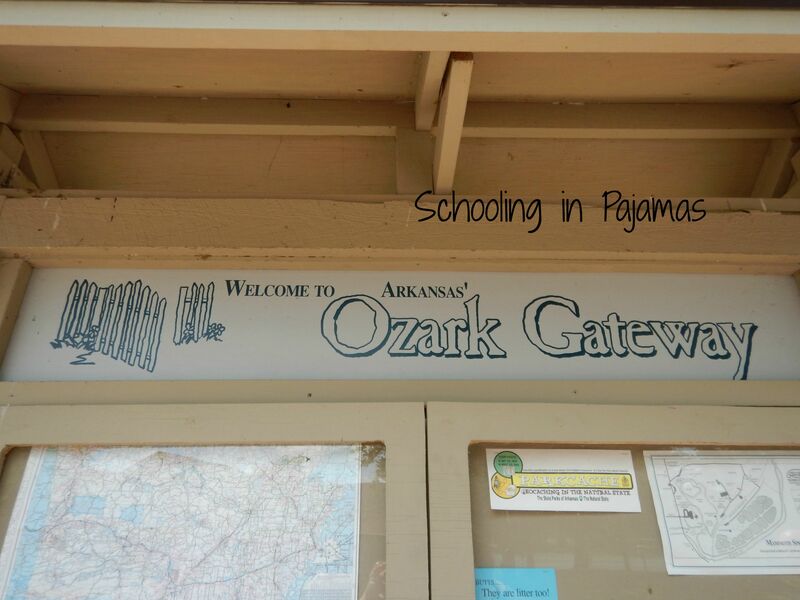 The visitor center also doubles as an Arkansas Welcome Center. The hours for the center are January through December open Sunday Saturday from 8 am. to 5 pm and May 22 through September 6 open Sunday Saturday from 8 am to 6 pm. The museum is open January through December Sundays 1 pm to 5 pm and Tuesday through Saturday 8 am to 5 pm except for Monday holidays. There is so much to see and do here that we didn’t get a chance to do. We only walked part of the path around the lake by the visitor’s center. 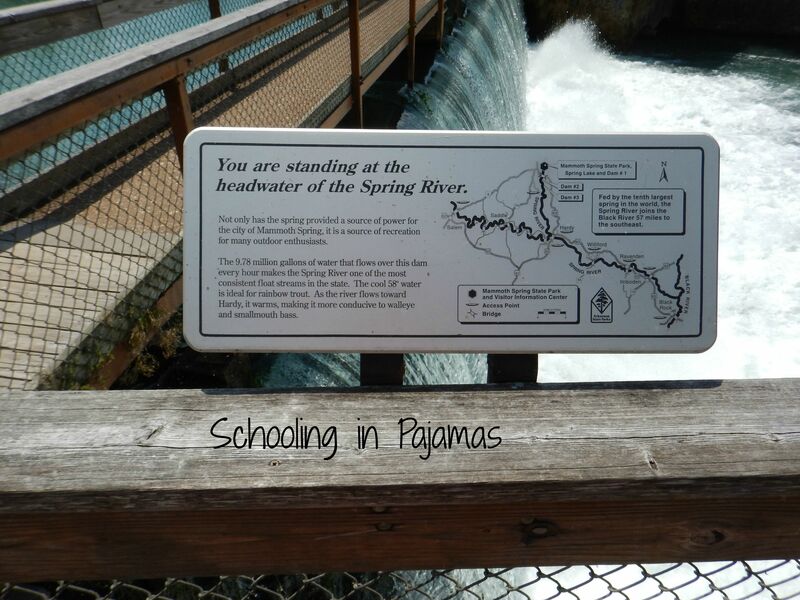 We did not go to the fish hatchery as we were just passing through. 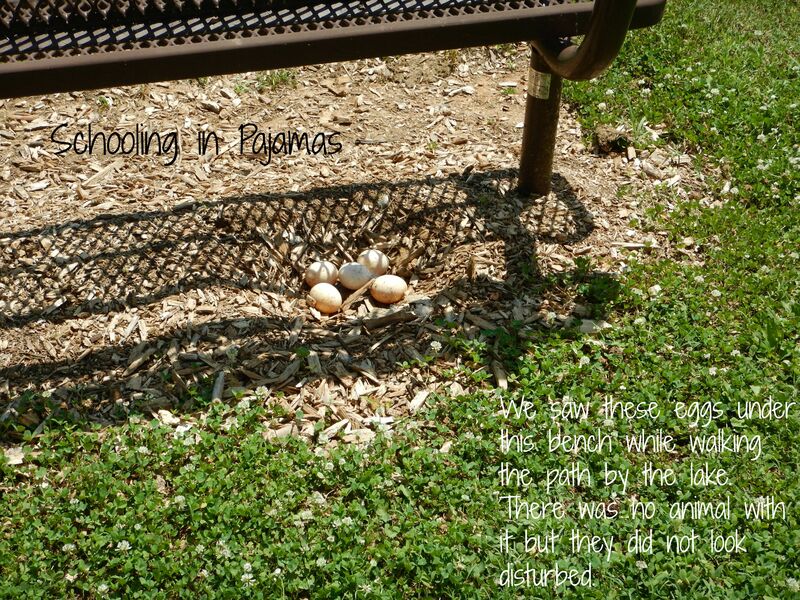 They have several things along the path at the visitor’s center like the cannon and picnic tables as well as wildlife such as birds, dragonflies, and butterflies. I would recommend making this a stop if you are in the area. It is beautiful. *We stopped in at the beginning of summer and it was already hot. So bring lots of water to drink. *If you will be doing the paths, I recommend slipping on tennis shoes or some type of comfortable shoe. It is not a wobbly, rocky, or worn path but the walking will make you thankful for wearing comfortable shoes. 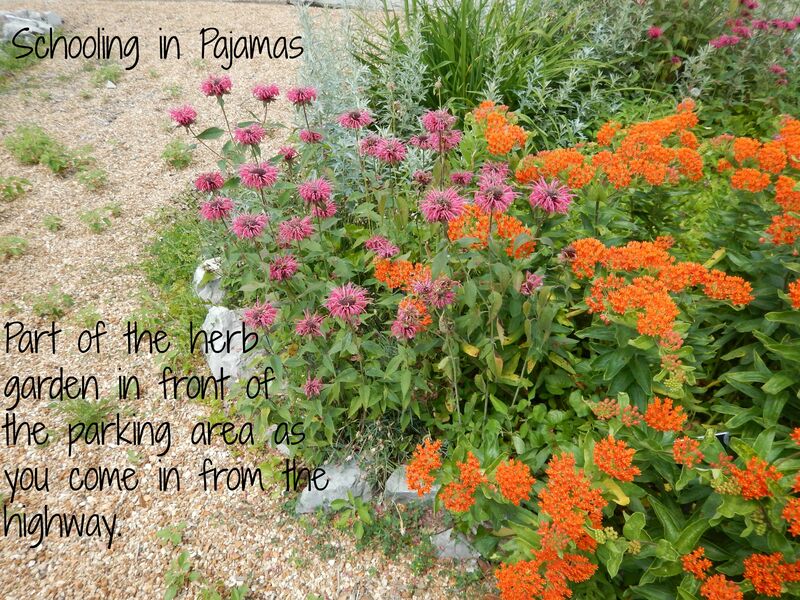 This is especially true when walking the herb garden. I wore sandals and regretted it.